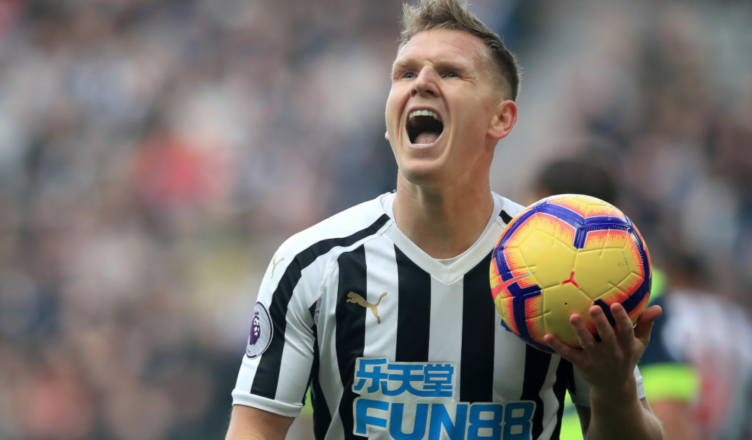 Matt Ritchie makes brutal claim about his NUFC teammates – Harsh but true? Take note Mike.. – NUFC blog – Newcastle United blog – NUFC Fixtures, News and Forum. Matt Ritchie has insisted that this group of players aren’t ‘good enough’ to deliver consistent top half finishes – urging the club to sign ‘top players’ over the summer to help us keep Benitez and kick on. This may seem a little harsh from Ritchie, and some may disagree given last season’s 10th place side has been upgraded following the arrivals of Dubravka, Schar, Almiron, Rondon and emergence of Longstaff, but last weekend’s result at West Ham was perhaps a reminder of where we’re at. “Is this group good enough to finish top 10 every season? No. “Yes, the fans want top, top players. Players want top players. But there has to be credit and respect for this group we had now. “We finished 10th last year. We maximised our potential last year, as players, individuals and as a team. We finished tenth for a reason. We deserved it. It raised expectations. Several clubs are now spending big money every summer and the list of top 10 contenders is growing season upon season, with Wolves, Watford, Leicester, West Ham, Crystal Palace and Bournemouth joining Everton as capable sides pushing to finish in the highest place possible outside the big six. We have the core of a very decent side, with Dubravka, our three centre-backs, our improved midfield options and our ‘three amigos’ in attack, but there’s several areas that need serious investment. Take note Mike – investment and ambition is essential if you plan to behind Benitez’s vision for this club. Look at yourself Matt Richie. Hardworking no doubt but 1 goal and 4 assists in 28 appearances isn’t exactly Premier league quality is it. “Matt Ritchie makes brutal claim” in the headline, but “This may seem a little harsh” in the story. I can only assume that “a little harsh” is now the definition of “brutal” in the snowflake era. Ashleys only business with liquid cash is nufc. He said that himself, He runs nufc on the cheap, always has and always has cash when a distressed business needs saving so he can swoop in and steal the keys. He will never sell nufc unless he is forced.